To support and promote development of the healthy competition in every possible way. To participate in developing of national and international legal base in the field of Safety and Quality. To promote preparation of modern professional staff. To provide transparency and openness of activity, financial and administrative independence and professional approach to the solution of any tasks. We are glad that our friends and members adhere to the above-mentioned principles. 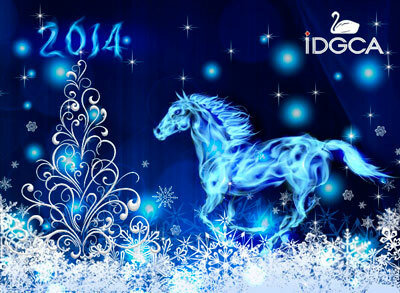 We wish You in the New Year of a good health, peace and welfare! On the 31st of December, 2013 it is a centenary of Russian Maritime Register of Shipping (referred to below as Register) foundation. The first name of Register was “Russian Register” JSC. Many outstanding and sad events took place during Register lifetime. The sheer fact that national classification society – one of the world’s leading societies – was found and exists in Russia is an outstanding fact. Many our nationals who are directly relevant to the maritime industry are proud of it. At the same time reconstruction during the Soviet era led to party style of management and dominant influence of party nomenclature. Regardless of the fact that the Soviet order fell into oblivion long ago, its spirit still presents in Register. Unexpected resignation of young and promising general director M. Aivazov and subsequent appointment of former party organizer Sedov S.N. of 67-years old as a general director may serve as an evidence. The fate of Register is also determined by its monopoly position. This fact led to inflated self-worth of certain Register employees and allows them to feel fine in conditions of market economy. International Dangerous Goods and Containers Association’s warmest congratulations to those chiefs and veterans of Register, whose professional achievements and moral qualities assured existence and reputation of Register. Our congratulations do not extend to those who turned Register to account and created unique basis for personal beneficiation and violation of common moral principles. Federal Service for Environmental, Technological and Nuclear Supervision (Rostekhnadzor) has posted on its website a draft order "On approval of Administrative Regulations of Federal Service for Environmental, Technological and Nuclear Supervision Service to provide state services for maintenance of register of industrial safety expert conclusions". The draft order was published in the New Year's Eve and may come into force since the 1st of January, 2014, along with changes in the Federal Law № 116-ФЗ dated the 21st of July, 1997 "On industrial safety of hazardous production facilities". According to the experts, the above mentioned draft Administrative Regulations are contrary to the Federal Law "On industrial safety of hazardous production facilities", and, besides, belie the common sense, because subject of regulation of the draft Administrative Regulations is "provision of state service for maintenance of register of industrial safety expert conclusions". This service may not establish any legal relationship between RTN and legal entity, as the register maintenance is a direct duty of RTN and the Federal Law "On industrial safety of hazardous production facilities" does not create any additional obligations for a legal entity which applies to Rostekhnadzor to register an industrial safety expert conclusion. Experts believe that in general the draft Administrative Regulations of Federal Service for Environmental, Technological and Nuclear Supervision to provide state services for maintenance of the register of industrial safety expert conclusions has turned an elementary accounting function which could be handled by one RTN employee provided with an appropriate program and formalized application into a long, meaningless and inherently corrupt procedure which is planned to involve a significant number of officials both at the headquarters and in regional offices. According to the experts, almost every paragraph of the draft Administrative Regulations has "mines", and it will be impossible to circumvent these “mines” without an agreement with an official. Experts have no doubts that for certain persons and affiliated expert companies this Administrative Regulation, if adopted, will be a real New Year’s gift. But for hundreds of thousands of foreign and Russian companies it will be another barrier in no way related to industrial safety at hazardous production facilities. Here is a fine investment climate in Russia. The 44th session of Subcommittee of Experts for Transportation of Dangerous Goods and the 26th session of Subcommittee of experts for Globally Harmonized System of Classification and Labeling of Chemicals of UN ECOSOC will take place in Palace of Nations (Geneva) during the period from the 25th of November to the 6th of December, 2013. Issues relating to clarifying of certain provisions of UN Model Regulations for Transportation of Dangerous Goods and GHS will be considered in the course of the sessions. In particular, issues relating to considerations of classification of dangerous goods, testing of batteries, transportation of gases, etc. are indicated in the agenda items. For more information, please, visit UN web-site. "IDGCA" sends the delegation headed by IDGCA Deputy Director General, Tsikhiseli V.G., to participate in the sessions. New issue of "Dangerous Goods and Containers" journal is planned to be printed out on the 18th of November, 2013. 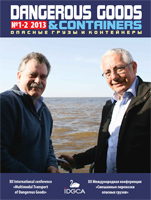 This issue will contain materials of an international conference (XII International Conference "Multimodal transport of dangerous goods") which took place in St. Petersburg on the 29th-30th of May 2013, as well as other interesting articles relating to issues of transportation of dangerous goods. To purchase the journal, please contact the ISTC. For all the participants and guests of the international conference this journal is free of charge. On the 7th of November, 2013, meeting and negotiations of the Lloyd's Register representatives and IDGCA took place in St. Petersburg. Issues of cooperation in the field of safety assessment on transport, at industrial enterprises and during development of sea shelf were discussed there. Special attention was paid to personnel training housed by International Staff Training Center ISTC. "Lloyd's Register KAZAKHSTAN" Director General, Zhandos Orazaliyev, and Managing Director of Lloyd's Register in Russia and Ukraine, Boris Ozerov, took part in the meeting on the part of Lloyd's Register. Michael Ognev participated on the part of IDGCA. According to the results of the meeting, a memorandum was prepared and specific ways of cooperation were outlined. On the 31st of October, 2013, a meeting of the Coordination Council on legislative activities chaired by the Deputy Transport Minister of the Russian Federation, State Secretary, Aristov Sergey, was held in the Ministry of Transport of the Russian Federation. The Council meeting was attended by IDGCA Director General, M.I. Ognev. In addition to the issues related to legislative activity, the meeting addressed the supposed approaches to the legislative introduction of compulsory insurance of civil liability of the carrier transporting dangerous goods by the various modes of transport. The draft bill on compulsory insurance submitted by the National Association of Insurers was discussed there. Besides, issue considering the signing of agreement between Ministry of Transport of the Russian Federation, State Duma and Transport Workers Union of Russia. Currently, the draft bill on compulsory insurance of civil liability of the carrier transporting dangerous goods is under consideration by organizations, and the relevant comments and suggestions are being prepared. IDGCA Director General, M.I. Ognev also gave his opinion on the new draft bill at the meeting. The next meeting of the Coordination Council is planned to be in the near future. International Staff Training Center (ISTC) successfully continues to make a practice of travelling seminars where evaluation training and the following certification of advisers (consultants) on safe transportation of dangerous goods is carried out. Global reach of such seminars was supplemented by Yuzhno-Sakhalinsk where, from the 21st of October to the 1st of November 2013, 20 employees of “Sakhalin Energy Investment Company Ltd.” whose work is concerned with handling, storing and transportation of dangerous goods have passed training. In the course of lectures and practical training the trainees have studied the basic provisions of international conventions, agreements and international rules relating to turnover of dangerous goods. Special consideration was given to practical application of UN Model Regulations for transportation of dangerous goods and to the harmonized rules for transportation of dangerous goods by sea transport, inland water transport, and railway and road transport, to the measures providing safety of container transportation, new legislation in industrial safety, and to the procedures for elimination of consequences of accidents where dangerous goods were involved. Reports and comments of the trainees on the quality of the training are absolutely positive. On completion of the training seminar participants have successfully passed the exam. In accordance with the results of the exam the participants will receive their certificates of advisers on safe transportation of dangerous goods. The chairman of examination board was a representative of Far-East Administration of State Maritime Supervision. Information on the seminar leavers will be placed on IDGCA web-site. From the 21st of October to the 1st of November, 2013, in Yuzhno-Sakhalinsk International Staff Training Center (ISTC) in conjunction with International Dangerous Goods and Containers Association (IDGCA) will carry out a travelling seminar and knowledge assessment for “Sakhalin Energy Investment Company” Ltd. employees whose work is concerned with handling, storing and transportation of dangerous goods. By order of the Head of Directorate for State Sea and River Supervision, P.M. Yermolayev, a representative of Far Eastern Directorate for State Maritime Supervision will work in the commission for assessment of the employees’ knowledge. According to the results of evaluation training and knowledge assessment, "Sakhalin Energy Investment Company" employees will receive IDGCA and ISTC certificates with the rank of "safe transportation of dangerous goods adviser" and further entry on the Register. Government of the Russian Federation has submitted to the State Duma of the Federal Assembly of Russian Federation a draft bill regulating traffic of vehicles carrying dangerous , heavy and (or) oversize cargoes developed by the Ministry of Transport of Russia. According to IA REGNUM, the draft bill provides carriage of heavy cargo without special permit for road running for vehicles with their weight excess to 2% of the maximum allowable weight or specified maximum allowable axial load. The draft federal law also provides that the authority competent to issue special permits is authorized to issue special permits by itself or through its authorized subordinate state institutions. The document also provides interagency information interaction of the authorized agency, roads owners and federal executive authority during the procedure of issuance of the special permit for road running of a vehicle carrying heavy and (or) oversize cargoes. It is suggested to clarify the list of dangerous goods which require a special permit for transportation and to secure the authority to issue special permits to the federal executive body responsible for control (supervision) in the transport field regardless the ownership of the road (at the same time such powers are excluded for executive bodies of federal subject and for local government authority). 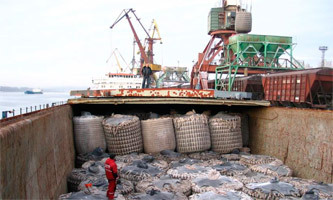 According to RIA "Siberia" / Tomsk, in the course of the audit transport prosecutor's office of Tomsk revealed illegal operation of "Sofia" vessel with two barges by OOO "Tekhnogaz-avto" ship owner. It was found that the vessel with barges loaded with propane-butane mixture of total weight of 166.370 tons did not have the necessary vessel documents. At the time of inspection, there was found no certificates of ownership of barges and no certificates of their seaworthiness, no flag certificate fly the flag of the Russian Federation and no certificates on prevention of pollution of rivers with oil, sewage and waste, and other necessary documents. When testing proficiency of the crew it was found out that the engineman-steersman had no certificate of competency, and the assistant captain had no education certificate. In addition, OOO "Tekhnogaz-avto" operated vessels in the absence of license for transportation of dangerous goods by inland water transport. Based on the inspection results, a submission was made to the head of OOO "Tekhnogaz-avto" to eliminate violations of the law and to bring the perpetrators to disciplinary responsibility. At the initiative of the transport prosecutor ship officers were brought to administrative liability for violation of navigation rules, port leaving without documents, as well as for admission of persons who have no relevant qualifications to handle the vessel. In addition, notice of claim to ban the operation of these vessels was directed to Kirov district court of Tomsk. Meeting plan of Economic and Social Council and UNECE Committees and Subcommittees on transportation of dangerous goods and Globally Harmonized System of Classification and Labeling of Chemicals for 2014. The 18th session of IMO Subcommittee on Dangerous Goods, Solid Cargoes and Containers. Since the 16th to the 20th of September next 18th session of IMO Subcommittee on Dangerous Goods, Solid Cargoes and Containers will be held at the IMO Headquarters (London). Details of the session, the decisions taken and the comments made by "IDGCA" will be published in the next issue of "Dangerous cargoes and containers" journal. Joint Meeting of the UN Economic and Social Council Committee of Experts on Regulations concerning the International Carriage of Dangerous Goods by Rail and the Working Group on Transport of Dangerous Goods. From the 17th to the 27th of September joint meeting of the UN Economic and Social Council Committee of Experts on Regulations concerning the International Carriage of Dangerous Goods by Rail and the Working Group on Transport of Dangerous Goods will take place in Geneva. 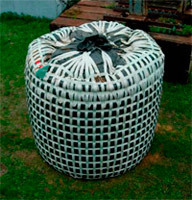 Among other issues, the issue relating usage of heavy-duty soft containers will be discussed. A hearing will be given to the report by the informal working group whose meeting was organized by IDGCA in St. Petersburg 28.05.2013. A car with gas cylinders exploded in Krasnoyarsk Territory, no injuries. Krasnoyarsk, the 25th of July. Interfax -Siberia – A truck with 15 gas cylinders exploded under Lesosibirsk in Krasnoyarsk Territory, informed deputy head of Regional Department of the Russian Ministry of Interior, Vladimir Yurchenko, the agency "Interfax -Siberia". The incident occurred on Thursday morning in Novoyeniseiskiy village, which is a suburb of Lesosibirsk. "According to preliminary reports, the truck with 15 gas cylinders inflamed right in the village. Driver managed to leave the territory of village in the burning car and came to the territory of waste disposal site in it. Then he left the car and ran away to a safe distance. As a result of inflaming, an explosion occurred. No injuries" – said V.Yurchenko. He noted that the car belonged to Novoyeniseisk wood chemical plant. At present, the police cordoned off the scene. The circumstances of the incident are under study. Industrial safety experts can be held criminally liable. 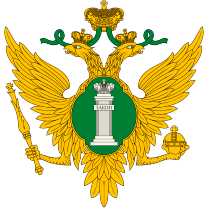 On the 14th of June, 2013, the Federal Law "On amendments to certain legislative acts of the Russian Federation with regard to carrying out industrial safety expert examination and clarification of certain powers of state supervision during administrative proceedings" was adopted by the State Duma in the second and the third reading. Since the 1st of January, 2014, the current procedure for preparation and approval of industrial safety expert examination will be changed. RTN function to review and approve industrial safety expert conclusions will be abolished. At the same time RTN will be charged with the duty to maintain the register of industrial safety expert examination conclusions in accordance with administrative regulations. We hope that the Administrative Regulations which will be developed by RTN officials will be based on the provisions of the RF Government Decree № 373 dated the 16th of May, 2011 "On development and approval of Administrative Regulations for execution of state functions and implementation of administrative regulations for provision of public services". The Federal law bans industrial safety expert examination for hazardous industrial facility owned by expert organization itself or its affiliated entities. Responsibility for expert examination rests on industrial safety experts. In this regard, the new edition of the Federal Law "On industrial safety of hazardous industrial facilities" introduces the concept of "industrial safety expert", "industrial safety expert examination", and defines responsibilities of head of the organization carrying out industrial safety expert examination and responsibilities of industrial safety experts. It also establishes administrative responsibility of experts in case of violation of industrial safety requirements at the level of responsibility of officials, and also provides a special administrative and criminal liability for issuance of knowingly false conclusions. Notwithstanding the fact that the new edition of the Federal Law "On industrial safety of hazardous industrial facilities" gives the concept of "knowingly false industrial safety expert conclusion", it seems that legislators ignore the nature of expert activities which are a matter of judgment and can not exclude errors and availability of various options. It turns out that all members of expert community "fall under the article" because is not clear how law enforcement practice will define and distinguish error of judgment and knowingly falsity of conclusion. No clear criteria are spelled out. In the result, things will depend on the officials’ opinion, which could lead to abuse. It has been prepared the draft Report of informal Working Group on flexible bulk containers (FBCs) which was held in Peterhof on May 28th, 2013. Experts from Great Britain, France, Russia, Germany, Slovakia, IDGCA, UIC have achieved main decisions, i.e. to continue carrying out the tests of FBCs and upon their results to finally establish the requirements to the transport of flexible bulk containers by various modes of transport. On May 30th, 2013 were accomplished successfully two important events, organized by International Dangerous Goods & Containers Association (IDGCA), under support of State Duma of the Russian Federation, Ministry of Transport of the Russian Federation and the UN Subcommittee of Experts. The experts from Great Britain, Germany, Russia, Slovakia, France, International Union of Railways (UIC), International Dangerous Goods & Containers Association (IDGCA), BAM Federal Institute of Materials Research & Testing were discussing the matters concerning application of bulk containers for the transport of dangerous goods and have developed the proposals for the nearest meeting of the UN Subcommittee of Experts in Geneva. Together with representatives of the Russian and international transport business, and participation of representatives from administrative authorities of the Russian Federation, they actively worked on XII International conference “Multimodal Transport of Dangerous Goods”. The matters discussed were so acute that they left no one indifferent from participants on the conference. Open dialogue, exchange of information and existing problems made discussion between the professionals not only interesting but very useful for development of the Russian transport field. Photos, articles and decisions adopted during the past events will be published on pages of the magazine “Dangerous Goods & Containers” and on the IDGCA web-site. The adopted decisions and appeal to Government of the Russian Federation will be prepared in the nearest time and sent to the intended recipients. Under accomplishment is preparation for XII International conference “Multimodal Transport of Dangerous Goods”. Participation in the conference have confirmed both Russian and foreign companies, such as OJSC “Avangard”, OJSC “Joint stock company “ALROSA”, Non-profit association of legal entities “Association of ship-owners and entrepreneurs of maritime industry” (Republic of Kazakhstan), Federal state-run enterprise “Biysky oleum plant”, “Eastern Stevedore Company” LLC, Federal state unitary enterprise “Main center of special communication”, CJSC “Intertrans”, “KIRISHIAUTOSERVICE” LLC, “LUKOIL-Nizhegorodnefteorgsintez”, OJSC “Metafraks”, “Milarin” LLC, “Module” LLC, “Mornefteservice” LLC, CJSC “Maritime Cargo Bureau”, OJSC “Sea trade port Ust-Luga”, “National Bureau of Expertise” LLC, CJSC “New technologies in the transport”, CJSC “The first containers terminal”, “Praxair Volgograd” LLC, “Promperforator” LLC, OJSC “TransContainer”, Federal state unitary enterprise “Rosmorport”, CJSC “Russian Register”, OJSC “Insurance company “Alliance”, Tambov state technical university, “Caspian Offshore Construction” LLP (filial in Aktau, Republic of Kazakhstan), MP “TOXI”, OJSC “Ust-Lujsky Container Terminal”, NP “Khrizotile Association”, CJSC “TsNIIMF” and others. 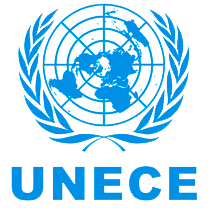 The conference guests of honor will be representatives of the UN ECOSOC Subcommittee of experts on the transport of dangerous goods, Ministry of Transport and competent organizations of Germany, United Kingdom, Slovakia and France. In the conference will also participate representatives from Ministry of Transport of the Russian Federation, Russian Ministry for Emergencies, Rostransnadzor, Federal agency of road transport, Federal agency of sea and river transport and other representatives of the federal authorities. Reception of the applications for participation in the conference is ongoing. On the 28th of May on the threshold of the XII International Conference "Multimodal Transportation of Dangerous Goods", which will take place from the 29th to the 30th of May in St. Petersburg in the conference center "Bourgeois" (hotel "Rossiya"), 25 km from St. Petersburg in Peterhof meeting of the informal UN Working Group of Experts concerning international application of flexible bulk containers (BK3) to 14 cubic meters for different modes of transport: road, rail and inland waterways, as well as concerning inclusion of BK3 into RID, ADR AND will be held. Ability to transport goods in high-capacity containers may have a significant economic benefit. Currently, many rules limit transportation of flexible containers to 3 cubic meters. The developer of BK3 construction and the patent holder is a Russian company ZAO “Novye tekhnologii v perevozkakh” ("New Transportation Technologies" JSC), which is a member of "IDGCA." In this regard, "IDGCA" has initiated introduction of changes in the International transportation rules. Secretary of the Sub-Committee of Experts on the Transport of Dangerous Goods, Mr. Olivier Kervella, UN experts: Mikulas Sedlak from the Slovak Ministry of Transport, Jean-Georges Heintz from the International Union of Railways, Helmut Rein from the Federal German Ministry of Transport, Ingo Doering and Jan Werner from the Federal Institute for Materials Research and Testing (Germany), Jeffrey M. Hart from the UK Department for Transport, Marie-Helene Sibille from the Group for Transport of Hazardous Materials DGPR / SRT / SDRA, France, and Russian participants: Volkov, A.E., Veshutov J.A., Khristolyubov A.V., as well as "IDGCA" representatives: Ognev M.I., Reshetnik E.G., Ahundov E.A., Safin R.Sh. will participate in work of this informal Working Group. On the 29th – 30th of May UN experts will take part in the International conference, where the decision of the International Working Group will by read to the participants of the conference. The State Duma Transport Committee of the Russian Federation Federal Assembly supports holding of XII International conference "Multimodal Transportation of Dangerous Goods"
The State Duma Transport Committee of the Russian Federation Federal Assembly has supported holding of XII International conference "Multimodal Transportation of Dangerous Goods" recognizing this event as necessary and useful both for increase of transportations safety and early integration of Russian transport into the world transport process. According to RTN Aleksey Ferapontov was appointed as the acting head of Federal Service of Environmental, Technological and Nuclear Supervision. The decree was signed by Russian Prime Minister Dmitry Medvedev. The previous head of RTN Nikolai Kutyin resigned on the 25th of April, 2013 at his own request. Aleksey Ferapontov was born December 30, 1963 in Moscow. He graduated from the Moscow Institute of Electronic Engineering, Russian State Open Technical University of Railway Transport, and Moscow Higher School of Police of the USSR Ministry of Internal Affairs. Since 1987 he worked at the Moscow Radio Manufacturing Plant (MPO "TEMP"), wherefrom he was sent to serve in the Moscow Central Internal Affairs Directorate in 1989. He held the positions of Deputy Director General of OAO "RosGosStrakh" (1996-2000), Deputy Director General of OSAO "InGosStrakh" (2000-2001). In 2001-2003 he served in the central office of Russian Ministry of Internal Affairs. Since 2003 he has been working in RTN as Deputy Director of FGUP VO "Bezopasnost" (2003-2008), Deputy Director of FGUP "NTC" Promyshlennaya Bezopasnost"(2004-2006). In 2010 he was appointed to the post of State Secretary - Deputy Head of Federal Service of Environmental, Technological and Nuclear Supervision. GOSSTROY of Russia has answered on the request of IDGCA and deemed illegal the requirements of certain SRO and supervisory organizations to require accesses for development of working documentation from the developers and suppliers of technological equipment. Clarifications of GOSSTROY will relieve the construction industry from various dark schemes related to re-stamping of working documentation of famous foreign brands under the name of "A Mickey Mouse Company" having access for development of design documentation and selling this access to foreign companies. March 18th, 2013 is the date for the International Staff Training Center (ISTC) 10th anniversary. For the latest 10 years the training center has attained respect from Russian and foreign companies and organizations, involved in the processes of transportation and handling of dangerous goods, specialized containers, assurance of the industrial and transport safety, development of the offshore oil and gas fields. ISTC, established by International Dangerous Goods & Containers Association in the year of 2003, is one of a few educational institutions registered in Russia and providing the opportunity for training and attestation of the specialists of various levels on the basis of the requirements and provisions of the international conventions, agreements and Russian legislation. A particular characteristic of the ISTC teaching staff is that its basis comprises the teachers-experts who possess not only unique theoretical knowledge, but have many-years’ experience of practical activities in the subject areas. Modern material-technical base, including a specialized computer class and the unique, normative and methodical literature, considerably promotes to increase in the educational process quality. IDGCA congratulates the Chief of International Staff Training Center, Tsikhiseli V.G. and the staff with the anniversary date and wishes the success in further development of ISTC. A new pattern of the certificate is stipulated by Chapter 8.2 European Agreement concerning the International Carriage of Dangerous Goods by Roads (ADR). The procedure for obtainment of these certificates was defined by the Order of the Russian Federation Ministry of Transport dated 09.07.2012 №202 “On adoption of the order for issuance of the certificates on training of the motor vehicles drivers transporting dangerous goods and adoption of the courses for such training” and by the Ordinance of the Russian Federation Ministry of Transport dated 11.02.2013 №МС-7-р “On organization of the work on check and assessment of the necessary knowledge of the motor vehicles drivers transporting dangerous goods and the candidates into consultants on the matters of safety of the dangerous goods transportation by roads”. A scheduled meeting of the Commission executing coordination of the examination commissions work in the regions on check and assessment of the necessary knowledge of the motor vehicles drivers transporting dangerous goods and the candidates into consultants on the matters of safety of the dangerous goods transportation by roads was held on March 12th under the chairmanship of Deputy Minister of Transport, Asaul N.A. The Commission comprises the representatives from FBU “Rosavtotrans”, Rostransnadzor and public organizations. In the meeting’s course, the Commission adopted the personnel compositions of the regional examination commissions on check and assessment of the necessary knowledge of the motor vehicles drivers transporting dangerous goods and the candidates into consultants on the matters of safety of the dangerous goods transportation by roads in the federal districts and also the list of examination questions. Inter-Parliamentary Assembly of the CIS Members and the Federal Council of Federal Assembly of the Russian Federation will hold during May 21 - 22, 2013 in St. Petersburg VI Nevsky international ecological congress “Ecological culture – the basis for solution of the ecological problems”. The congress official partners are the CIS Executive Committee and the United Nations Organization on industrial development (UNIDO). The congress theme was defined on the basis of the solution of the Council of Heads of the CIS states on declaration of 2013 the Year of ecological culture and environmental protection in CIS. 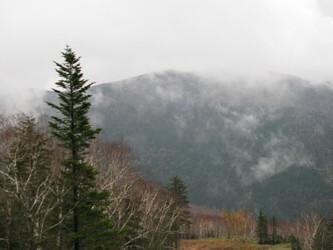 Nevsky international ecological congress is designated to promote the formation of international ecological safety system through reinforcement of trans-boundary cooperation, improvement of international ecological laws and rapprochement of the states’ legislations. For participation in the congress are invited the chiefs of legislative and executive state authorities, leading scientists, representatives of international organizations, business circles, educational and scientific-research institutions, industrial companies and representatives of mass media communications. The event’s location is the Taurida Palace, Shpalernaya str., 47. During 28th February – 2nd March, 2013 in St. Petersburg in the framework of Project of the Party “United Russia”, “St. Petersburg – maritime capital of Russia” and with support of the Committee on natural resources, environmental management and ecology of State Duma of the Russian Federation Federal Assembly will be held IV International Forum “Ecology”. The Forum’s format comprises the business and exhibition programs. Main topics of the Forum’s business program will be control over ecological condition of the water resources; implementation of the new technological solutions for ecological safety of the water objects in the transport and economic spheres; provision of population with the high quality water for household and recreation needs. In the Forum’s exhibition part will be demonstrated the international and regional innovation projects in the field of environment protection, liquidation of the technogenic pollution consequences and safe development of natural resources. It is expected that in the year of 2013 in this event will participate over 500 delegates from 40 regions of Russia and 30 foreign states. Main outcome of the Forum’s work will become a resolution with proposals and recommendations, which will be directed to the profile committees of the upper and lower chambers of Federal Assembly of the Russian Federation, ministries and governmental agencies, Public Chamber of the Russian Federation, Open Government for improvement of legislation and state regulation in the sphere of water resources protection. According to the statement of the Chief of Federal service on ecological, technological and nuclear supervision, Kutyin N.G., Rostekhnadzor is going to abandon the functions on issuance of Permissions for use of technical devices, applied at hazardous industrial facilities, and the functions of industrial safety expertise. Many manufacturers and suppliers of the equipment will possibly avoid a painful and in the essence unnecessary procedure of issuance of Permissions for use. The procedure, which was often based on bureaucratic delays and interests of the government officials, took sometimes more than a half-year. With that were made the refusals on issuance of Permissions, which justification referred to the Administrative regulations of the Federal service on ecological, technological and nuclear supervision on execution of the state function on issuance of permissions for use of particular types of technical devices on the hazardous industrial facilities №112 dated 29.02.2008. The above mentioned Administrative regulations was not rendered compliant with the Ordinance of the Russian Federation Government №373 dated 16.05.2011 on the development and approval of Administrative regulations, clearly contradicted the federal law “On industrial safety of the hazardous industrial facilities” and the federal law “On technical regulation”, i.e. the Rostekhnadzor officials required from the applicant observance of the rigid rules, however they themselves did not observe these rules. The Rostekhnadzor official of any rank and at any stage of the documents’ consideration could find a reason for refusal without special efforts, because in the Administrative regulations were imbedded the conditionalities, to bypass which without agreement with the same government officials was practically impossible. Information on cancellation of Permissions for use was positively received by business. However, as experts suppose it, the government officials will hardly refuse from the possibility to string up business and will invent “new technologies” for their own well-being. At the meeting of Working Group of Experts will be discussed the possibility of inclusion of flexible bulk containers (BK3) into the European Rules on the transport of dangerous goods (ADR, RID, ADN). The representatives of BAM Federal Institute for Materials Research and Testing from Germany, representatives of the Ministry of Transport from Slovakia and Hungary, International Union of Railways, representatives of Lloyd’s Register EMEA from Great Britain, as well as the representatives from other governmental structures and non-governmental organizations have confirmed their participation in the meeting of Working Group of Experts. The meeting of Working Group of Experts will take place as we approach the XII International conference “Multimodal transport of dangerous goods”, which will be held in St. Petersburg during May 29–30, 2013. 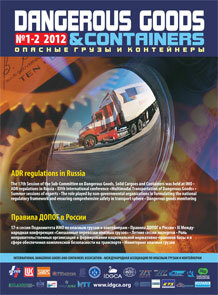 A new issue of magazine "Dangerous Goods & Containers"
A new issue of magazine "Dangerous Goods & Containers" for the year 2012 has been published. During January 21 – 25, 2013 in the Palace of Nations (Geneva) will be held the 22nd session of General Meeting of Experts on the Rules of European Agreement concerning the International Carriage of Dangerous Goods on Inland Waterways (ADN) of the Committee on safety affairs ADN). Upon completion of this event, on January 25, 2013 will be held the 10th session of the ADN Administrative Committee. On the 22nd session of General Meeting of experts on the ADN Rules it is supposed to elect the Head officers of General Meeting for the year 2013, give a hearing of the information on activities of other bodies and organizations related to its work, consider the matters concerning application of ADN, as well as proposals on amendments into the ADN Rules, give a hearing to reports of the informal working groups, adopt the working program of General Meeting and the meeting schedule for 2013, and also consider other matters. Significant place in the session’s work will take discussion of the procedures, related to preparation and certification of the experts on ADN. More detailed information on the forthcoming session can be received by the reference. In the course of work of the 10th session of the ADN Administrative Committee it is supposed to elect of the Committee’s Head officers for 2013, consider the condition of Agreement ADN, as well as the matters related to its realization, give assessment of the work of the 22nd session of General Meeting of experts on the ADN Rules, adopt the Committee’s working program for 2013 and consider other matters. More detailed information can be received by the reference. XII International conference "Multi-modal transport of dangerous goods"
On May 29 – 30, 2013 International Dangerous Goods & Containers Association will hold in St. Petersburg XII International conference "Multi-modal transport of dangerous goods". International Dangerous Goods & Containers Association (NP “IDGCA”) invites the chiefs and specialists of Russian and foreign companies, the officials of Customs, controlling and supervisory structures, the chiefs and employees of the insurance companies, as well as all the interested legal and physical entities to XII International conference "Multi-modal transport of dangerous goods". Information on the conference and conditions of participation can be received by tel. +7 (812) 421-54-51, +7 (812) 421-57-17, +7 (812) 740-20-19, as well as by e-mail: istc@idgca.org, info@idgca.org. Welcome for participation in the conference!